Few people thought as deeply or incisively about Germany, Jewish identity, and the Holocaust as Hannah Arendt and Gershom Scholem. And, as this landmark volume reveals, much of that thinking was developed in dialogue, through more than two decades of correspondence. Arendt and Scholem met in 1932 in Berlin and quickly bonded over their mutual admiration for and friendship with Walter Benjamin. 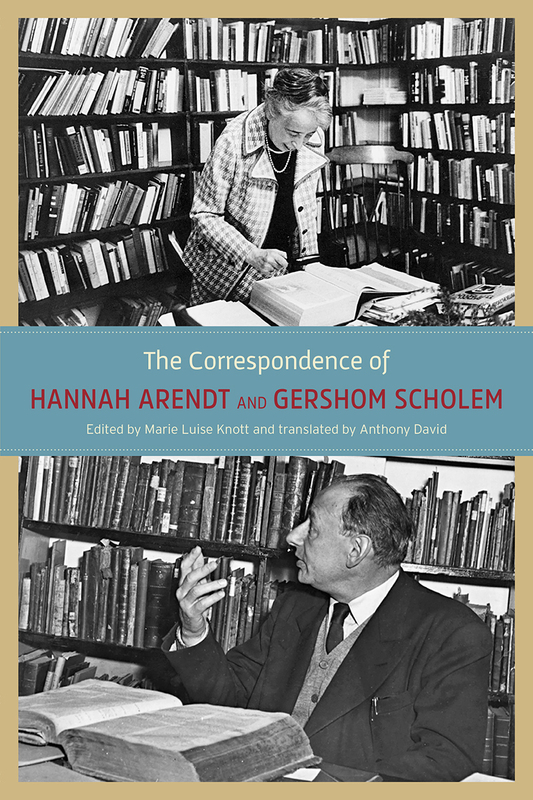 They began exchanging letters in 1939, and their lively correspondence continued until 1963, when Scholem’s vehement disagreement with Arendt’s Eichmann in Jerusalem led to a rupture that would last until Arendt’s death a dozen years later. The years of their friendship, however, yielded a remarkably rich bounty of letters: together, they try to come to terms with being both German and Jewish, the place and legacy of Germany before and after the Holocaust, the question of what it means to be Jewish in a post-Holocaust world, and more. Walter Benjamin is a constant presence, as his life and tragic death are emblematic of the very questions that preoccupied the pair. Like any collection of letters, however, the book also has its share of lighter moments: accounts of travels, gossipy dinner parties, and the quotidian details that make up life even in the shadow of war and loss. In a world that continues to struggle with questions of nationalism, identity, and difference, Arendt and Scholem remain crucial thinkers. This volume offers us a way to see them, and the development of their thought, anew.